What can we deduce from the graph above? 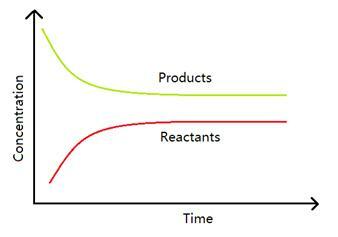 It describes an equilibrium reaction to be reactant favored. It describes an equilibrium reaction to be product favored.